It could be not a complete story if talked about Y-3 but not mention this shoe. 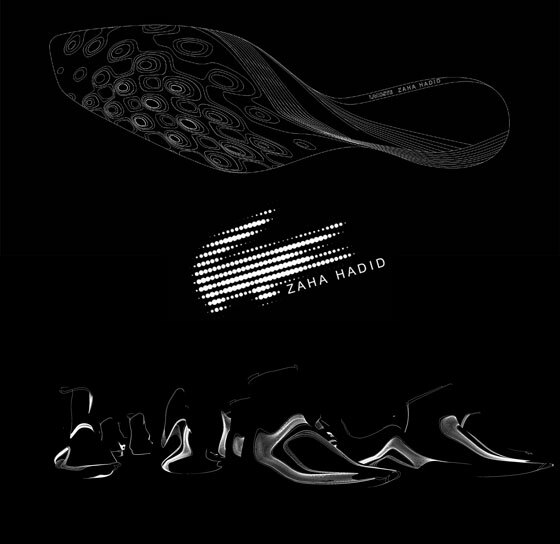 This is Lacoste‘s spring 2009 footwear designed by Pritzker prize architect Zaha Hadid. Images here are just a mock up of the shoe. The Lacoste crocodile logo is used as an evolution grid to build the body ergonomically form.